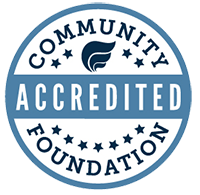 Community Foundation of Middlesex County recognizes its fiduciary and stewardship responsibilities and adheres to principles and standards endorsed by National Standards for Community Foundations and the Council on Foundations and followed by other community foundations. The Foundation’s Board of Directors approves all financial policies and activities, and committees of volunteers monitor them monthly and quarterly. The financial statements, accounting policies and controls are audited annually by an independent auditing firm. The Foundation complies with all state and federal reporting requirements. These and other reports are available for viewing at the Foundation offices. Community Foundation of Middlesex County has a small experienced staff and operates with modest administrative budgets. All financial matters are monitored by committees of volunteers with financial knowledge and experience. Budgets are established and reviewed monthly. Community Foundation of Middlesex County will make available for public inspection, upon request, the last three years of its Audited Financial Statements, IRS Form 990, IRS Form 990-T (when applicable), and the IRS letter of determination granting nonprofit status. Requests may be made in person, by U.S. postal mail or by e-mail. Documents are provided in hard copy only. The requestor will be charged a reasonable fee for the cost of copying and postage. GuideStar.org provides additional information including access to IRS Form 990.